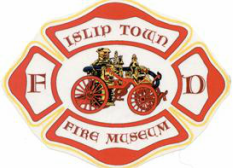 The Islip Town Fire & EMS Museum and Education Center will be on hand - come visit our booth and see an authentic Japanese fire engine that is presently on display in the museum through the Spring. We will also be selling tickets for our fundraiser NASCAR® prize pack raffle with the drawing taking place on May 30th, 2019. For more details or to purchase tickets for this raffle, contact the museum at 631-778-6621 and leave a message. Thank you for your continued support of our private, non-profit museum!